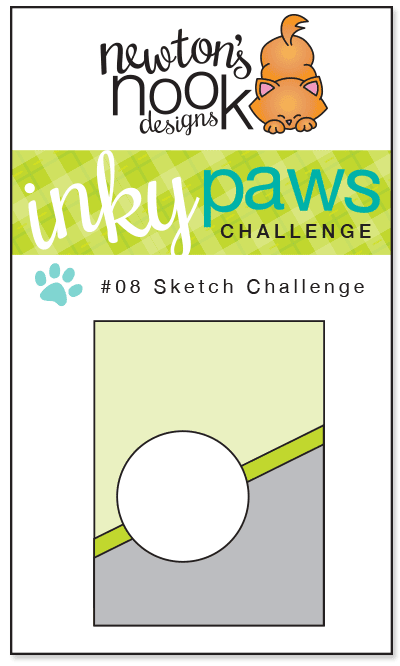 Happy Friday and the the first day of #08 Inky Paws Challenge! I've been seeing fun diagonal cards lately so I thought it would be fun to see what everyone would do with a diagonal layout! 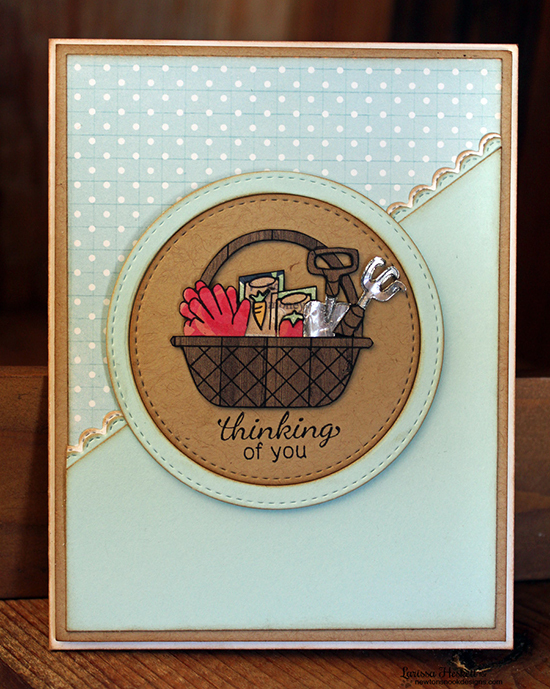 Base your card on this sketch and use any Newton's Nook Designs Stamps! You have two weeks to play along. Deadline to enter is Friday, April 11th, 2014 at Midnight CST. The winners will be announced on the NND blog on Monday, March 14th. Post your project to your blog or to an online photo gallery such as Flickr or splitcoaststampers (on splitcoast please use keywords newtonsnook and IPC08). Guest Designer Michelle Lupton created this fun layout with distress inks and our Winged Wishes Stamp set! 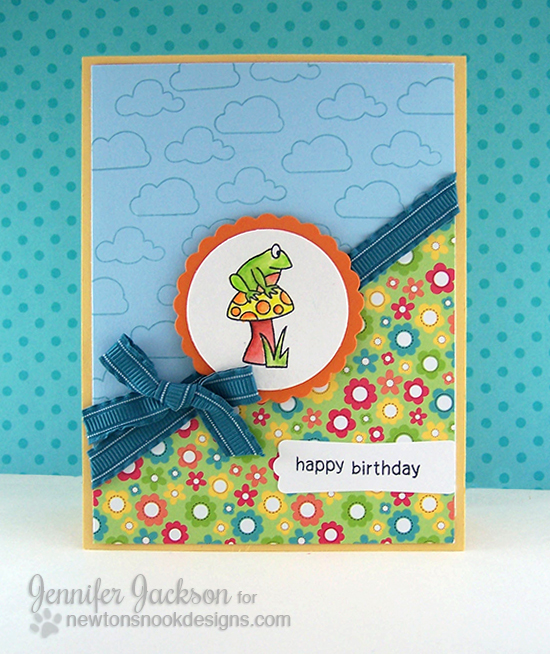 Guest Designer Katie Brooks created this fun card, turning the layout sideways! Love the burst showcasing the cheese from the Just Say Cheese set! 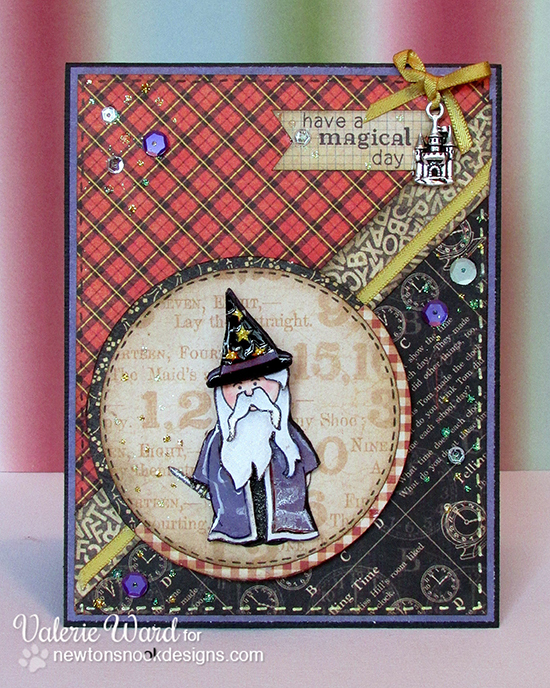 Valerie created this fun card using the wizard from the Magical Dreams set. Lots of layers and gloss plus sparkle and sequins = very magical! Such a pretty basket of Garden Tools by Larissa using our new Basket of Wishes Set! I love the metallic silver! 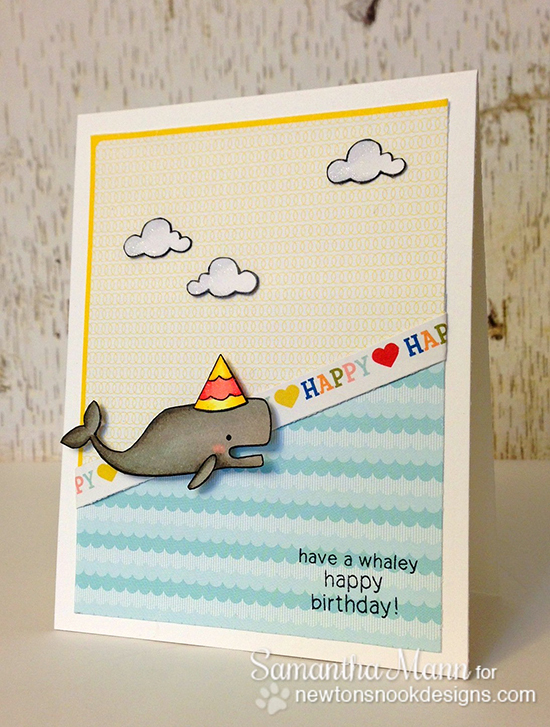 Samantha created a WHALEY fun birthday card - using the Whale from our SEAson's Greetings Set!